Q. The little icons at the bottom of Outlook aren’t terribly helpful. I miss seeing the words “Mail” and “Calendar.” Can I get that back? A. Depending upon the type of device on which you’re working, when Office installed it, it may have surmised that you wanted a compact display. This usually happens with tablets, like a Surface, or smaller touchscreen laptops. At any rate, the icons aren’t always easy to see or discern. You can change this by clicking on the three dots (ellipses) and then choosing Navigation Options. Uncheck the box that is next to Compact Navigation. 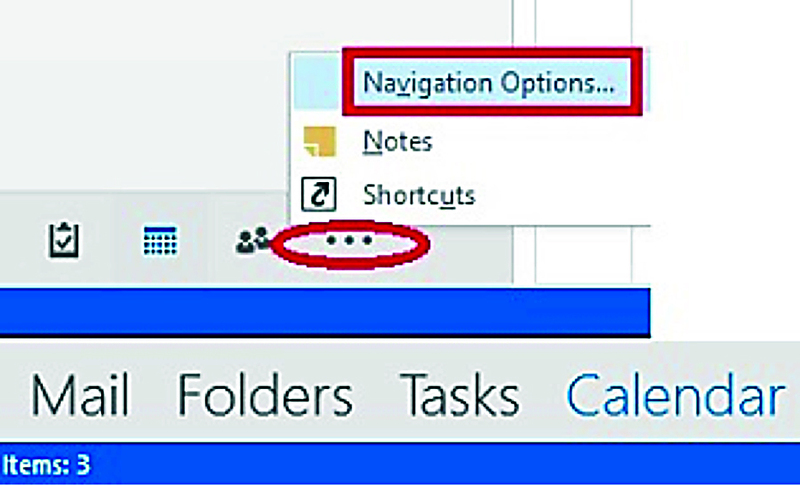 Now, you will see the words for different windows of Outlook instead of the icons. Q. They took the Outlook desktop app away. I used to rely on features like Rules and Quick Steps. Can I get that back? A. 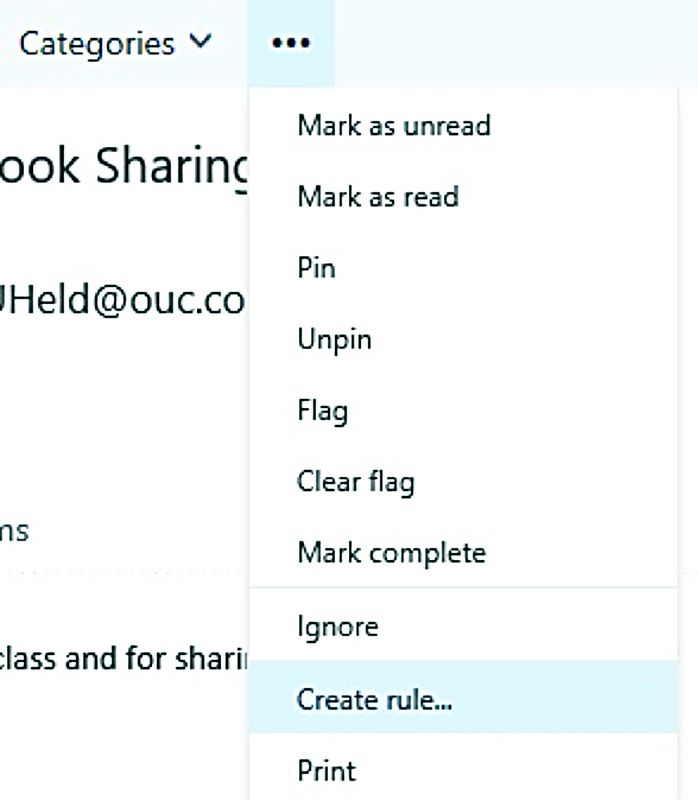 Unfortunately, you won’t be able to use Quick Steps, but you can still create rules in Outlook Online (also known as the Mail app in Office 365). Select an email and click the ellipses (…) at the top of the mail list. 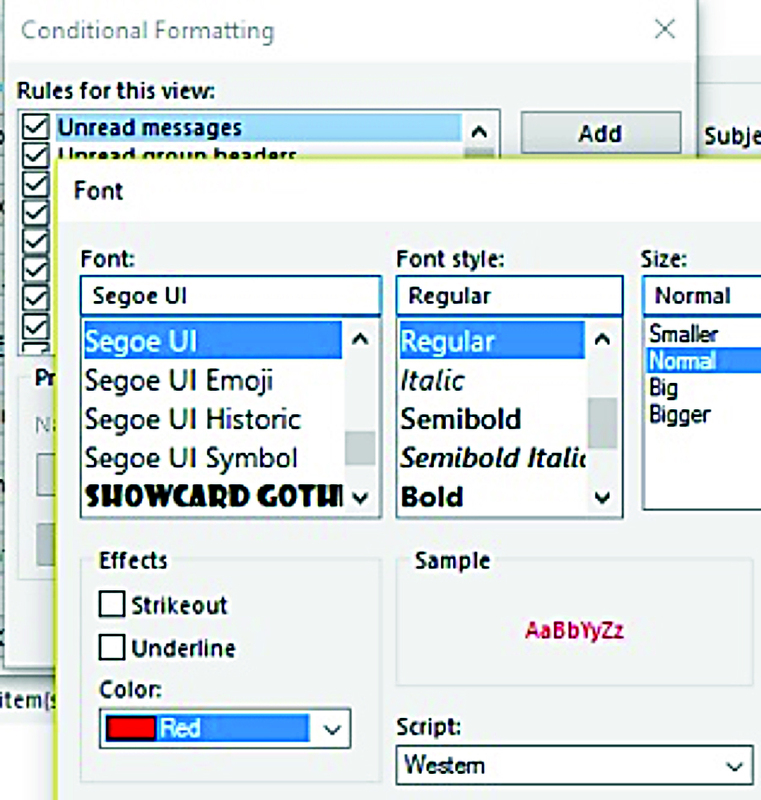 There you’ll see the option to Create rule. Click that and you’ll get the screen for a New inbox rule. While some limitations exist, I think you’ll find that most of the common rule settings are available. The interface is also somewhat more intuitive than the Advanced rule dialog in the desktop app. Everything is on one screen.